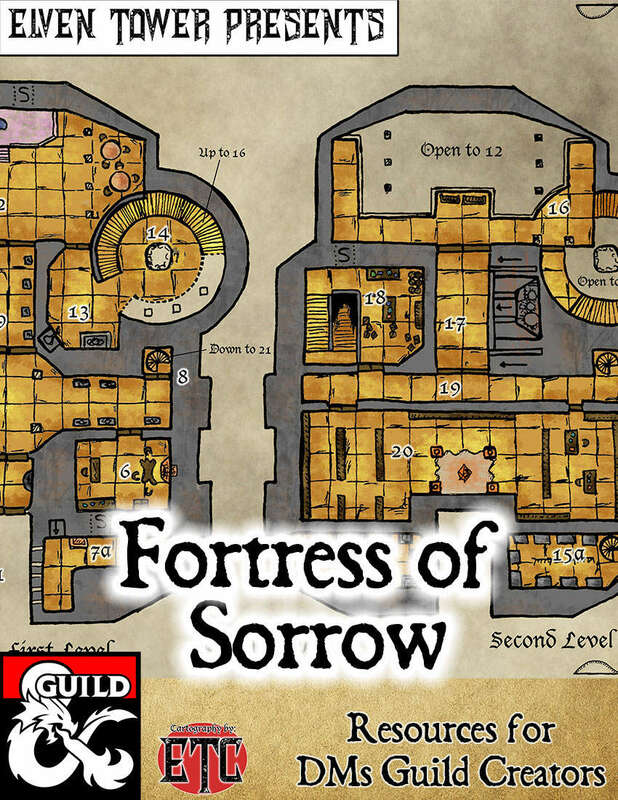 These maps include a commercial license, as such, you can add them to your DM's Guild products. 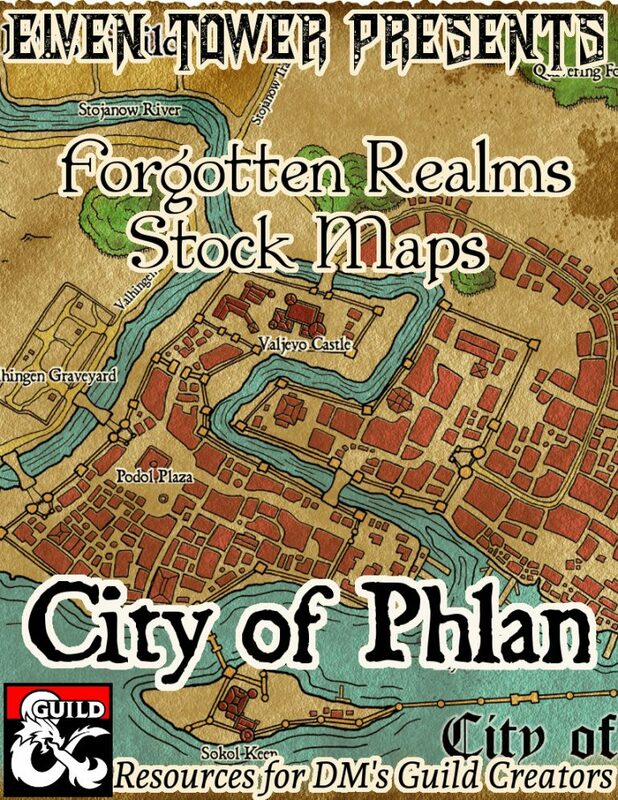 Make your modules and adventures stand out with awesome Forgotten Realm maps. 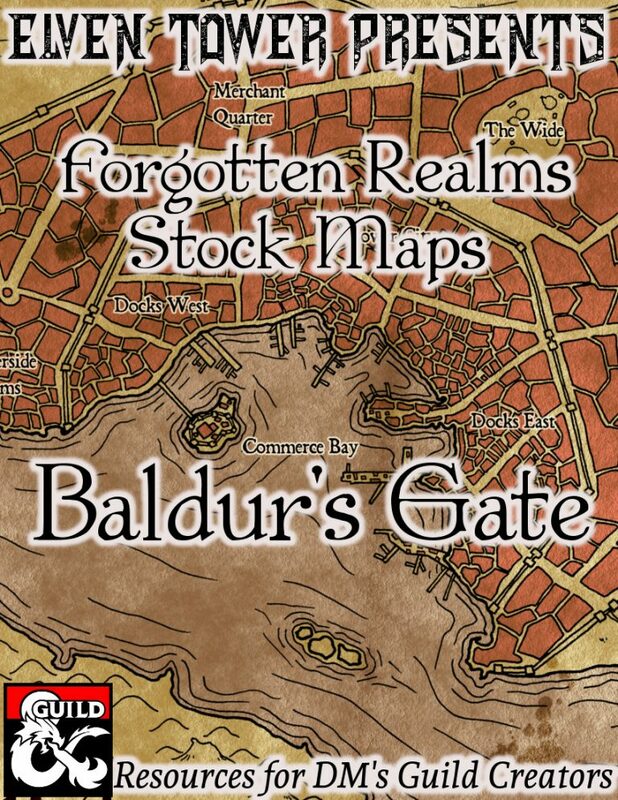 Most people see illustrations first, a good, evocative map is a great resource to attracting audience. I wasn't certain from the description and I wanted to see if this map pack included street level maps--roads and pathways with buildings of note included? Or is it just a large map of the entire city? Thank you! It's a big city map. No street level maps. All previews shown are what's included. There's a typo on the "Full" maps. It says "Nevedeath" instead of "Neverdeath". Thanks for letting me know about this typo, I will upload a correction as soon as possible. It's fixed now. The cover file still shows the mistake, but files are fixed. Thank you! 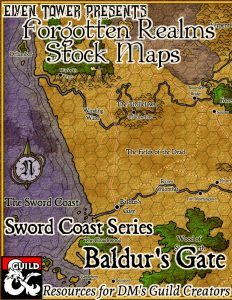 It's about to go to good use in my Sword Coast-set "West Marches" campaign!